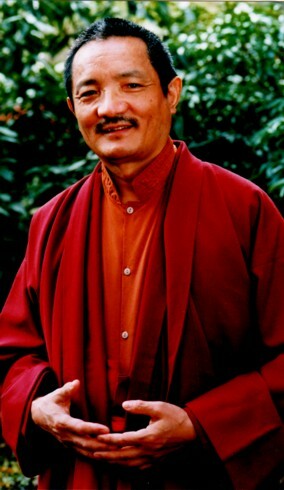 Tulku Thondup Rinpoche (Tib. སྤྲུལ་སྐུ་དོན་གྲུབ་, Wyl. sprul sku don grub) was born in Golok in Amdo in 1939. He was recognised at the age of four as the reincarnation of a famous scholar of the Dodrupchen monastery, Konme Khenpo. Thondup Rinpoche entered Dodrupchen monastery and studied various Buddhist texts, becoming the monastery’s ritual master (Dorje Lobpon). In 1958 he moved to India, teaching from 1967-76 at Lucknow University and from 1976-80 at Visva-Bharati University. In 1980 he went to the USA, and was a visiting scholar at Harvard University. He now works at translation of and research into Tibetan Buddhist texts, especially those of the Nyingma lineage tradition, under the auspices of the Buddhayana Foundation, and has published various books, among them Hidden Teachings of Tibet (on terma); Buddhist Civilisation in Tibet; The Practice of Dzogchen (Longchenpa on Dzogchen), and Enlightened Living (on ethical conduct). This page was last edited on 2 March 2018, at 02:09.